Television was introduced in 1953 throughout Belgium and begins with a single channel operating both in Dutch and French languages. The two major public TV networks in Belgium are VRT (in the Flemish Community) and RTBF (in the French Community). Both networks show their channels through operators using cable, IPTC, terrestrial television as well as satellite. 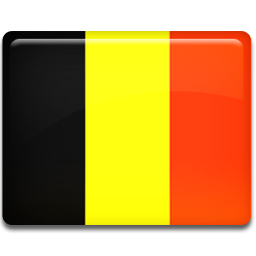 Cable, IPTC and satellite broadcast the Belgian commercial TV stations at present. Terrestrial broadcasting is restricted to public service TV stations only due to high usage of cable (around 95%) in Belgium, making it insignificant to broadcast on a commercial basis. Live streaming TV is also being offered by the notable TV networks of Belgium. The French part includes two main broadcasting groups. RTBF is the public broadcaster having the TV channels la une, la deux and la trios. The RTL group is the major commercial TV group in South and runs the channels Plug RTL, Club RTL and RTL-TVi. A smaller group (AB) is operating the channels AB3 and AB4. The RTL group draws in approximately 30% market share on a daily basis with all channels combined. RTBF owns a 20% market share per day on average with all channels combined. The major channels with local newscasts and most local programming are la une and RTL-TVi. The Flemish part includes three major broadcasting groups. VRT is the public broadcaster that has the TV channels één (one), canvas and op 12. The main commercial TV group is Medialaan that runs the channels vtm, 2BE, Vitaya, JIM, and vtmKzoom. SBS Belgium is the second commercial group which manages the channels vier (four) and vijf (five). The above mentioned three groups combined cover around 85% of the total market with VRT, making it the biggest of all with more than 40% market share. VMMa holds about 35% and SBS Belgium takes over around 10% of the total market share.